Yesterday, American Airlines landed on the wrong end of a social media assault after breaking Alex Gray’s quiver. Flying a coffin full of boards is an anxious matter. We’ve all been greeted with punctures, creases, minor dings and blemishes, but what Alex Gray’s surfboards went through from Honolulu to Los Angeles Friday night is mind boggling. For the professional surfer, it’s unfortunate, but the average travelling surfer can’t help but shudder at the possibility of arriving at a destination, opening your bag to reveal four out of five of your surfboards are unrideable, and one is broken clean in half. 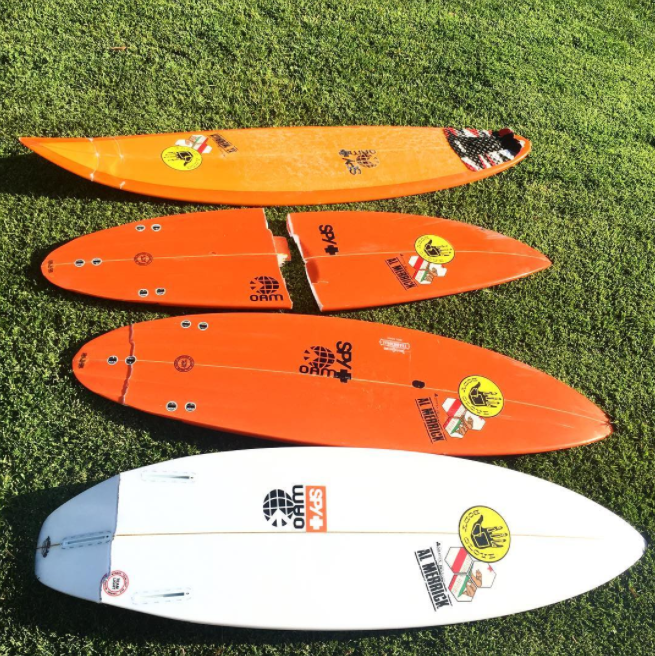 The despicable treatment of surfboards by airlines continues, highlighted by the John John Florence JetBlue debacle of 2016, the Kelly Slater vs Hawaiian Air feud and now Mr Gray’s battered quiver. In short, this should never happen. If you’d like to relieve some pent up airline aggression, you can contact American here or visit their Instagram: @americanair. Read the full article by StabMag.com here.